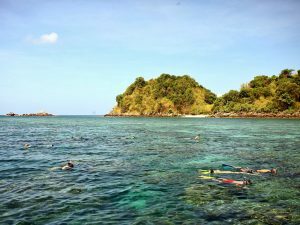 Snorkeling in Thailand is usually a nice addition to a boat day tour that includes other highlights such as beautiful beaches, landscapes, sightseeing, culture and more. However snorkeling is not the main focus of these type of tours. 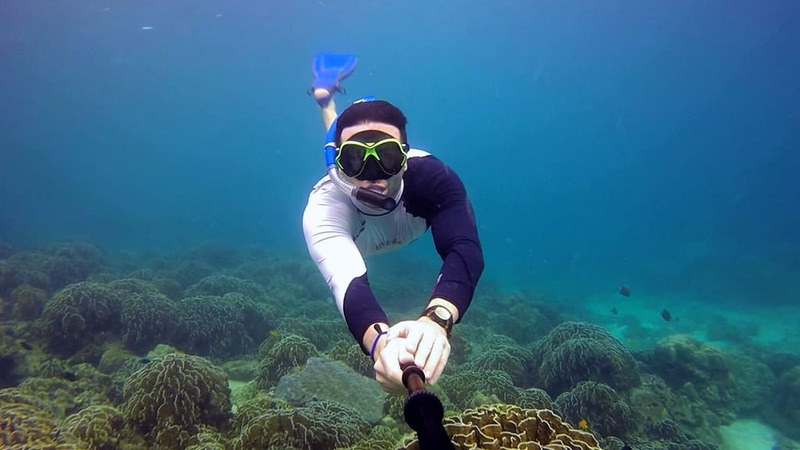 Taking a tour with high expectation about snorkeling could lead to some disappointment that some of the Guests reported in their comments on the internet. Most of coral reefs in Thailand are in shallow warm water with white sandy bottom, and due to tides & weather the visibility underwater is not always the best. While snorkeling on Thailand’s reefs you can easily spot many different species of the small and colorful tropical fishes (Sergeant Major Fish, Banner Fish, Parrot Fish, Moorish Idol, Anemone Fish, Puffer Fish and more) some nice hard and soft corals. Not sure where to snorkel? Contact Us Now and we can tell you where is the best place for you. This specially applies to day tours from Phuket Island to the Racha Island or tours from Koh Samui or Koh Phangan. Here the reefs are in shallow water with sandy bottom, due to the oceanic tides the visibility underwater is not always the best. Snorkeling at Phi Phi Islands offers more colorful reefs as they are mainly formed by soft corals. Here can happen to see small reef sharks and sea turtles too. Looking for the very best snorkeling in Thailand? 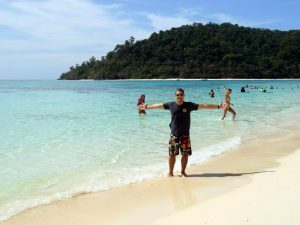 Then should do a tour to Surin Islands, Koh Rok or Similan Islands, all located in the Andaman Sea, Thailand West Coast. Keep in mind that these sites can be visited only between November and May. It is important to join a snorkeling tour in Thailand with the right expectations, not to make comparisons to other places, such as the Great Barrier Reef, the Red Sea and Maldives, but instead appreciate what the opportunity offers: a day tour to a nice, all year round warm water, tasty Thai food lunch, activities that help to keep fit and more. From Phuket you can visit Islands such as Phi Phi Islands, Raya Islands and the Famous Similan Islands. 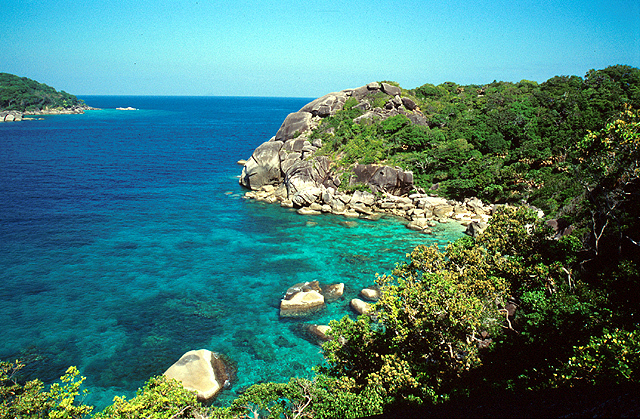 Khao Lak is the gate way to the famous Similan Islands & Surin Islands. from November to April you can visit them on a daily basis. 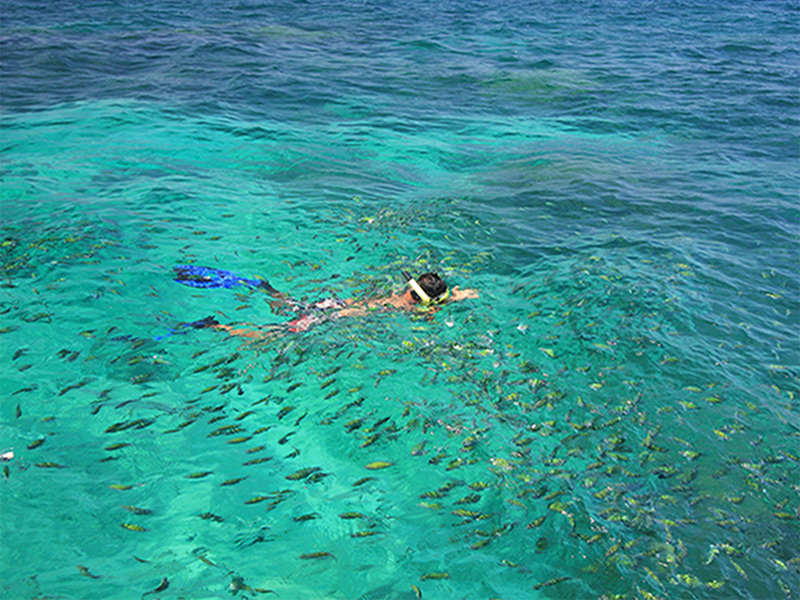 Koh Samui in the Gulf of Thailand offers snorkeling tours to the nearby Islands of Koh Phangan and Koh Tao. The Kingdom of Thailand is famous for many things and snorkeling is definitely high on the bucket list of exceptional things to do while on holiday in the Land of Smiles. 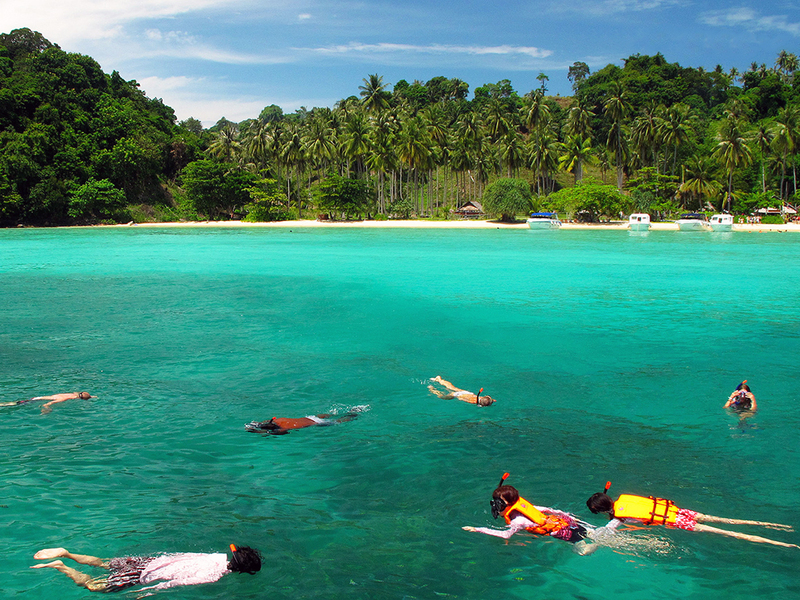 Up and down this amazing country’s beaches and coral reefs there are thousands of people enjoy snorkeling every day. Snorkeling is not a difficult skill to master; normally five minutes of practice will make the underwater explorer more than confident in using these simple but very effective pieces of equipment. If you an experienced snorkeler please be reminded out thoughts in the beginning of this article. 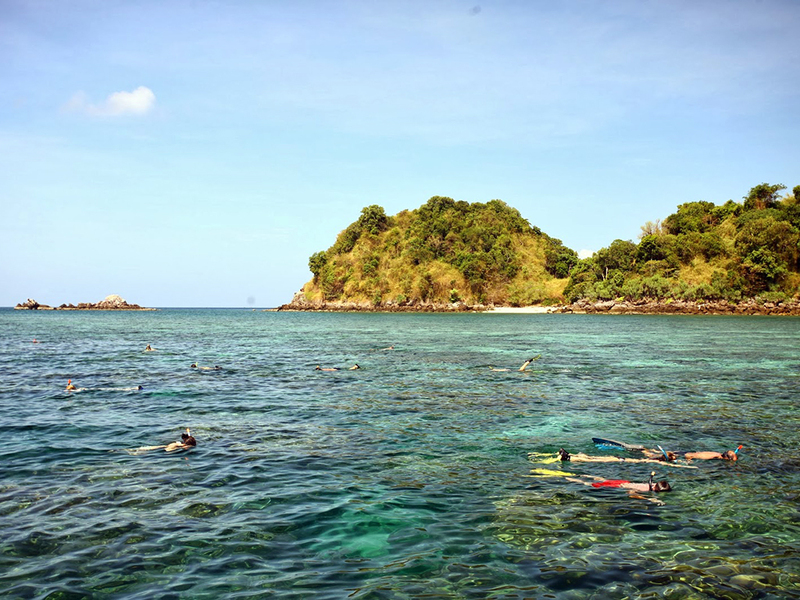 Thailand has some good snorkeling spots, where even the novice can enjoy the natural beauty of the underwater world. Snorkeling Thailand gives both young and old the ability see what is happening right under their noses. You need very little effort to snorkel and the equipment is much less cumbersome than scuba diving. No matter which beach you find yourself on in Thailand, at many of them you will be able to snorkel. That’s the beauty of this sport it is very accessible to everyone. There are many healthy coral reefs where one can snorkel; Phi Phi Islands in the Andaman Sea is a very famous spot for snorkeling. 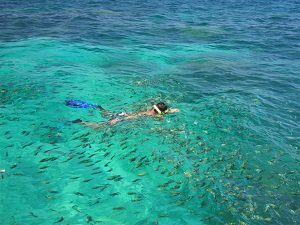 Phuket also has some good snorkeling off its beaches and there are many islands in close proximity to Phuket where the snorkel is world class such as in the Similan Islands. Krabi and Ao Nang are also quite close to Phi Phi Island also have some great snorkeling spots -as does the beautiful island of Koh Lanta. Anyone can simply walk down to the nearest beach and hire a long tail boat or even go out on a speed boat or larger vessel like a dive boat or special designated snorkel boat. Khao Lak is only a couple of hours away from the most spectacular snorkel sites in the country The Similans, with its crystal clear warm waters and it is not unusual to sport Turtles, Wrasses, Parrotfishes, Small Barracudas, Rabbit fishes, Eels, Puffer Fish, Anemone Reef clown fish (Nemo) to name just a few. Snorkeling trips to places like the Similans normally take place in a speedboat and are easily arranged and usually include pick up and drop off back at your hotel, also included in the trip cost is the snorkel equipment, Soft Drinks, Lunch, Life Jackets, guide and an almost guarantee of a fantastic day out. Koh Samui has some of the best underwater views in Thailand and Ang Thong National Park is another fantastic venue -a day on these beautiful islands will leave you breathless. AngThong is not too far away from Samui, so there is more time in the water than travelling to the sites. These trips also include all equipment needed plus lunch, pick from hotel and life jacket as mandatory. 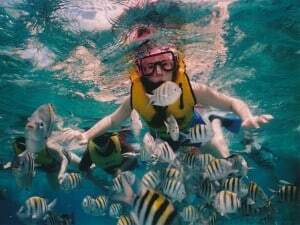 In fact, wherever you are in Thailand you can easily rent the equipment needed to snorkel, you can even buy yourself a set of snorkeling gear quite cheaply, thus enabling you to run to see what is under the sea whenever suits.